As music and music technology evolve, so too do the institutions that teach music and music-related disciplines. However, the pace of development in the academic sphere has tended to lag behind changes in the ‘real’ world – with conservatories and music schools only grudgingly (if at all) adapting their methodologies and concepts to emerging realities of technologically-enabled music making. One institution that bucks this trend decisively is Berklee College of Music’s Electronic Production Design department. 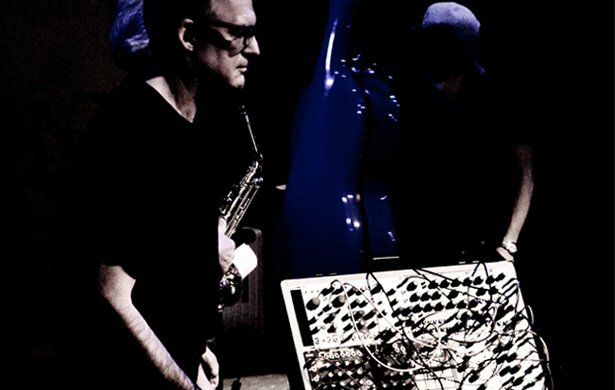 Headed up by veteran educator and musician Michael Bierylo, the EPD program combines the study of performance, composition, and orchestration with computer, synthesis, and multimedia technology. We spoke to Michael Bierylo about the challenges of designing a curriculum for today’s students while also keeping one’s bearings amidst shifting educational and musical paradigms. In parts of the music world, the notion of the laptop as an instrument has attained a certain degree of legitimacy. How has this development informed the Electronic Production Design program at Berklee? The idea of laptop as an instrument is a very hot topic at Berklee as we try to define what that means. In an institutional setting, this comes down to some practical realities, like, how do you audition a laptop musician? How do you assess skill, and by what means do you develop mastery? What is the “standard repertoire?” However, if you try to think of a laptop like a more traditional instrument, like a piano or violin, it doesn’t measure up very well. Ultimately, we need to develop an updated notion of what a musical instrument really is, and this can become an endless semantic spin. - The computer is taking over from the piano as the standard tool for learning about music and developing new musical ideas. When you look at the idea that any sound can be musical, the piano doesn’t quite cut it as the standard point of reference for music anymore. - You can’t really think of just the computer in forming the idea of an instrument. 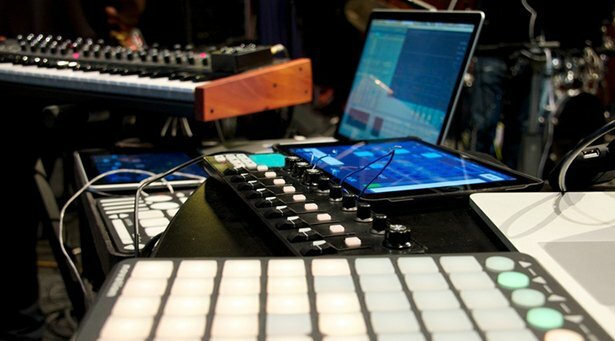 Software and hardware controllers form systems that can become instruments. The computer is really a general purpose device that serves a platform for building instruments. - Instrument design is part of performance practice. Everyone designs their own system, and hence, a new way of learning grows with each individual performer. In some ways, it’s not like learning a guitar to be able to play a certain repertoire, but more like designing an instrument that will produce sounds and gestures that the composer/player imagines. EPD has been at Berklee since the late 1980’s when it was called the Music Synthesis Department. We were probably the first college to offer a major that focused on electronic instruments. Are you seeing an increase in interest from students studying traditional instruments or composition? Does learning the computer as an instrument help musicians from traditional backgrounds achieve a richer understanding of sound and music in general? Usually, students from a traditional background have already had some experience with music on computers, although most will not self-identify as being technically savvy. There are perhaps three levels at which students engage in technology to learn about music. When students at Berklee first got laptops, the first thing we saw was that everyone soon started using them to read music as PDFs. Every ensemble room you went by had a lead sheet up on a laptop. With YouTube, just about any type of music a student wants to learn is there, and in many cases lessons on how to play it. So in that sense, the computer has brought students to a richer experience of their principal traditional instrument. This is not much different from how the rest of the world uses technology in their daily learning lives. 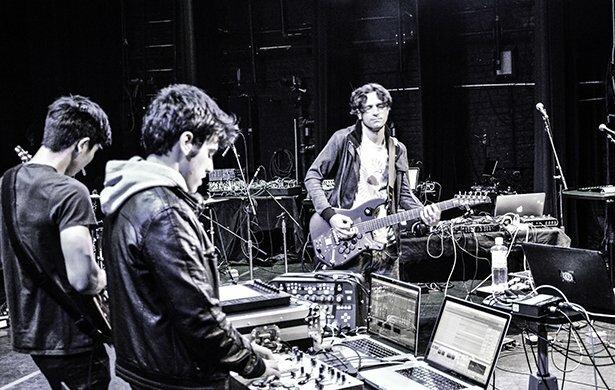 As students become more aware that the computer plays a big role in how the music they aspire to create is produced, whether that’s electronic or acoustic, they become aware of the production process. For our students, the "term paper” often can be a track. Being able to produce your musical idea is essential to sharing and communicating that idea. The production is part of the process of creation, and in both subtle and sophisticated ways, and we see students beginning to value this and be curious. "You don’t learn to sync an LFO to tempo in your piano lesson, yet that’s an essential skill in modern music creation." In traditional arranging, there’s the idea of low interval limits that point to timbral problems when low notes are arranged at close intervals. In production, we talk about why a production sounds “muddy” with certain groupings of sounds in the lower register. Same idea, different approach, that requires a knowledge of sound and production in order to be effective. Some students get to a deeper third level when they embrace the idea of electronic sound and music. There are a whole range of musical techniques and effects that are purely electronic – wobbles, drops, you name it – that are part of the musical vocabulary, and that require specific technology skills to produce. You don’t learn to sync an LFO to tempo in your piano lesson, yet that’s an essential skill in modern music creation. So in a broader sense, as these types of musical devices become part of the lexicon, a deeper understanding of sound and technology becomes relevant to a larger group of musician, not just the technical elite. While much of music education focuses on melody, harmony, and rhythm, the element of form becomes a bigger part of the conversation when it becomes something that can be freely manipulated. Western musical tradition focuses on melody and harmony, Afro-Caribbean, on rhythm, but DJ culture and the music that comes from our time really deals with form. Composers traditionally create musical experiences that lead the listener, where a DJ creates a musical experience in response to an audience. That’s actually really hard to teach, but it’s an important part of modern music. Building one's own instrument seems like an important development in self-determinate thinking for composition and performance alike. How do you guide and teach the instrument building process and what sort of outcomes are you seeing arising from it? One thing to remember about my responses here is that things that I’m seeing aren’t necessarily part of the core curriculum at Berklee. In the case of instrument building, there’s the sound design component and then there’s the interactive performance component. In sound design, you talk about musical functions, how does a sound work in a musical arrangement? This can revolve around traditional ideas of melody, bass, and accompaniment functions, or simply abstract functions, like a sound that changes timbre at stepped, rhythmic divisions. Our department, Electronic Production and Design, started 30 years ago as the Music Synthesis Department, probably the first program in the world that offered a college degree in studying synthesizers. We’ve always felt that designing a synthesizer patch is really designing an instrument. In one way, that’s thinking on a micro level, one instrument in a possible combination of many. When you get to the laptop, you not only have that, but the macro level of designing the ensemble as well. It becomes more than how to control a single sound, but how to control the interaction between sounds on all levels, pitch, timbre, loudness, as well as rhythmically. There’s also the question of whether the instrument you design will be general purpose, something that can function in a variety of settings, or purpose specific, something that’s designed for a specific piece or event. With a modular synth system, you usually design the patch for a particular performance. With a laptop instrument, you can design a template that will work for a variety of performance opportunities. Each requires a different way of framing the design problem. "Composers traditionally create musical experiences that lead the listener, where a DJ creates a musical experience in response to an audience. That’s actually really hard to teach, but it’s an important part of modern music." You said earlier "the piano doesn’t quite cut it as the standard point of reference for music anymore." Are music education facilities adapting to this changing point of reference? And what is at stake if educational institutions don't get behind this paradigm shift? Do they risk inculcating a narrow-minded understanding of music? Lots of this has to do with the vision of one’s institution. In the conservatory approach, or what happens at a teaching college, there’s an established or agreed-upon canon that serves a point of reference for education. The canon may evolve, but that’s slow. A research institution can develop new ideas, but the teaching at those institutions is usually about how to teach research. There are lots of music technology Ph.Ds looking for work teaching, but the work listed on a CV is usually conference papers, or performances at conferences, not commercial releases. So, there’s this gap between what contemporary musicians actually do, research in the field, and the canon. That’s a structural challenge faced in all of education, and some fields face it better than others. In medicine or business, bridging these gaps is essential for survival. In the arts, this doesn’t always seem to be the case, however as the cost of education skyrockets, survival will demand relevancy for most arts institutions. While Berklee was founded on the idea that music can be taught through the music of the time, in practice, that’s easier said than done. It took about 25 years for the electric bass to be recognized as a principal instrument at Berklee. (It still isn’t at Juilliard and most conservatories) It took about 25 years for there to be a course in turntablism. Given that, we may have to wait until 2025 for a laptop or mobile device of some sort to be recognized, although we’re trying to fast track that…. The issues and conversations alluded to here are an active part of what we consider in Electronic Production and Design, and really inform how we think about preparing students. Big questions here. Learn more about Berklee’s Electronic Production and Design Department.